No one likes banners. They tend to be intrusive, are often badly designed and somehow never show products you actually need – for a while, I was shown daily ads for a Catholic matchmaking service, while I’m neither single nor religious. The arrival of adblockers offered a much-needed solution. According to this recent report by PageFair, adblocking services are now installed on 615 million devices worldwide. Using an adblocker, however, means some websites will show unsightly empty blocks of space. So why not take it one step further: instead of just removing banner ads, replace them with something beautiful? 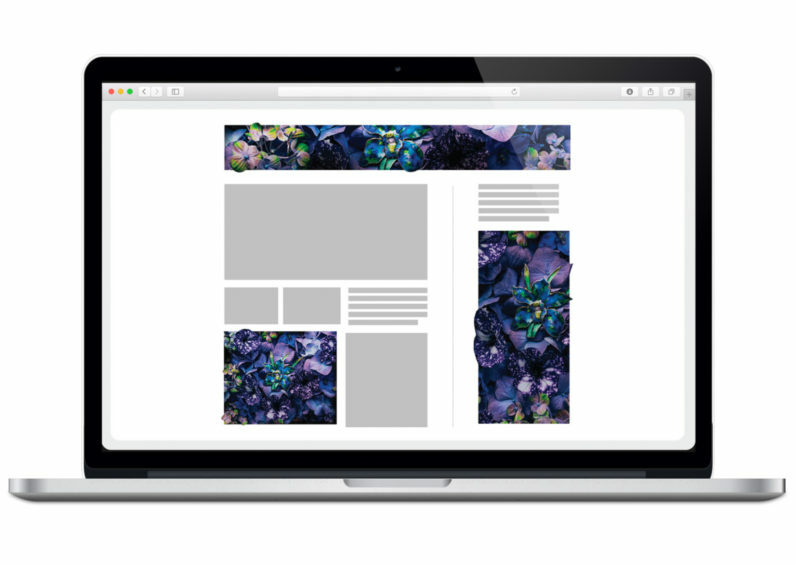 Today, online flower magazine The Green Gallery launched a product that does just that: their free Green Screen Ad Blocker removes your banner ads and replaces them with arty pictures of flowers. The idea was based on science: even just looking at pictures of flowers can reduce stress and induce calm according to research. The flower designs derived from various creative industries, ranging from artwork by Dutch tattoo artist Henk Schiffmacher to Tunisian techno DJ Loco Dice, who partnered up with mural artist Hoxxoh. The Green Gallery isn’t the first to attempt to make banners more tolerable – or maybe even enjoy. In 2015, digital media company Fair Thread launched Adieu, a browser extension that replaced banner ads with photo’s users could pick themselves – either uploading their own pictures or selecting them from Adieu’s database. Even offline, bad advertising can be countered with technology. In 2014, a digital media artist from New York developed NoAd, an augmented reality app that could recognize subway ads in New York, then also in Berlin – and replace them with digital works of art. The app was shut down in 2016 due to a lack of funding. New York project Art in Ad Places is picking up where NoAd left off – sans the augmented reality app. Until the end of December, its organizers are partnering up with a different artist each week, helping them illegally install their art on payphone kiosks throughout New York City…until the authorities remove them. This post was brought to you by The Green Gallery.